The work of award-winning Japanese cartoonist Taniguchi has been translated into several European languages. 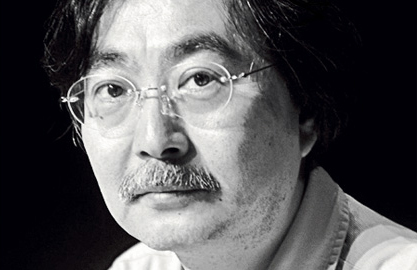 A far cry from the violent storylines often associated with teenage mangas, his "graphic novels" offer a subtle analysis of Japanese culture and society. Like many people, I first thought the term ‘manga’ applied just to teenagers’ basic Japanese comic books. When I read Jir? Taniguchi for the first time, I realized that ‘manga’ simply means ‘cartoon’ in Japanese, and that there are many kinds of mangas in the Japanese culture, all classified according to the targeted audience. Taniguchi’s work definitely goes into the adult category, called ‘seinen’. Over the years, mangaka (cartoonist) Jir? Taniguchi has acquired a strong reputation not only in his home country but also in Europe, where he has been translated into many languages. He has gained new audiences thanks to great stories like “A Distant Neighbourhood”, which won the Alph Art award for best story at the 2003 Angoulême Comics Festival in France. The plot is simple and universal. One day, a middle-aged businessman finds himself on the wrong train going to his childhood hometown. Once there, he decides to visit his mother’s graveyard and he somehow finds himself transported back into his own 14-year-old body. Who hasn’t dreamt of doing that? Going back to being a teenager with the confidence and maturity of an adult would be fascinating. Taniguchi has a unique talent in describing human relations very realistically, giving his stories a rather slow rhythm. Although it is not spectacular, the story is full of suspense. And I guess every reader can identify with the theme. 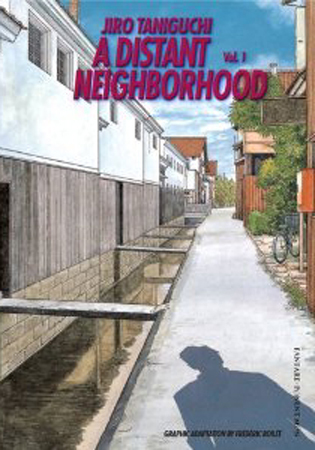 While reading “A Distant Neighborhood” I thought it would make a great movie. So I was not surprised when I heard that an adaptation was being prepared by Belgian film maker Serge Garbarski. In interviews, Jir? Taniguchi admits he has been strongly influenced by Japanese film-maker Yasujiru Ozu, through movies like Tokyo Story or Floating Weeds. They both surely share the same simplicity and rhythm in the description of human relationships. Jir? Taniguchi also explores the relation between man and nature. In ‘The Summit of the Gods’ (written with Japanese scenarist Yumemakura Baku), we follow outstanding stories of alpinists in the Himalayas. The scenario mixes great suspense and beautiful drawings of the high mountain tops with real historical facts. The story starts with the discovery of an old camera that might reveal never-explained mysteries, relating to the attempt on Everest by British climbers, George Mallory and Andrew Irvine in 1924. Both of them died during the expedition and nobody knows if they reached the summit before freezing to death. If they had done so, that would be considered a great achievement, 29 years before Sir Edmund Hillary and Sherpa Tenzing Norgay. Mallory and Irvine’s fate is one of the great unsolved mysteries of mountain climbing. 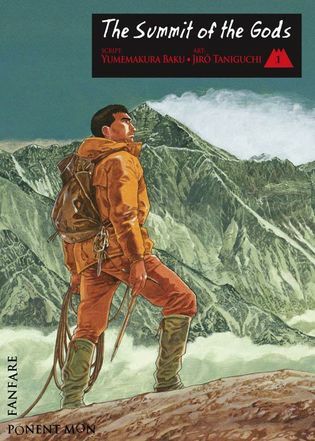 “The Summit” is the first part of a superb 5-volume ‘fresco’ that any reader (alpinist or not) will enjoy. Taniguchi’s books also provide a faithful description of cities in Japan, the countryside, people’s habits and lifestyles, giving outsiders a very good introduction to Japanese culture. Although the frames and costumes are different from European ones, the human stories and feelings are somehow universal and Taniguchi shows real talent in expressing the emotions of his characters. Let me end this article with a piece of advice. Once you are used to the original right-to-left reading direction (which is a matter of minutes), don’t read too fast. Taken by the story, we often tend to read such a book too quickly, jumping from one picture to the next. Slow down and capture the essence of the story. Japanese use an expression that has no direct translation; they call it ‘yoyû’. It means ‘extra time’ to get prepared, to relax or to enjoy things. We probably need more ‘yoyû’ in our stressed-out lives. Taniguchi’s books can be found on Amazon.com (some have been adapted to the European left-to-right reading direction).